Has anyone here bought and used SJ4000 and other GoPro copies? Lazada is selling some of them for under 3k and I would like to know if they are good enough to use for DIY band videography stuff (making music videos, documenting gigs, etc.). Kung sulit, why not buy several, diba? just bought one last friday. i'm using it as a car dash cam, mc helmet cam and probably a camera for my rc tanks. can be used also as a security camera. probably can be used for some diy "home brewed" videography stuff also. do not buy at lazada. 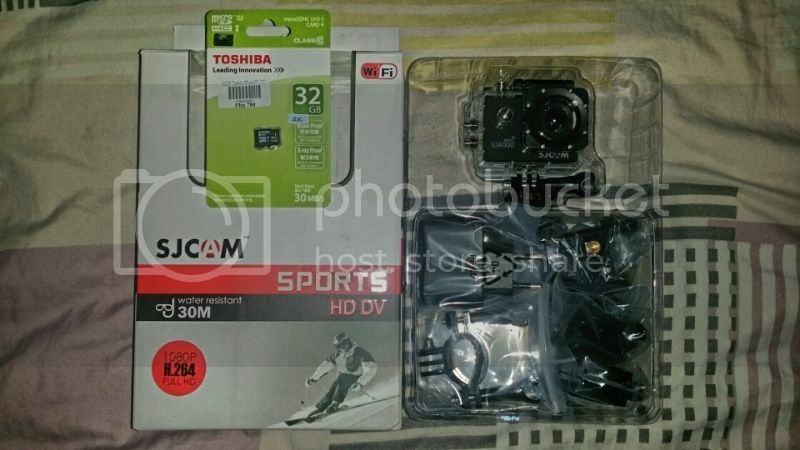 many folks from other forums are saying that they sell fake sjcam. imagine...a fake of a copy. lol. interesting. san ka nakabili sir? thanks! i'm from cebu. i bought my sj4000 from one of our local dealers here. The video quality is good if the lighting is good. Yung audio lang ang medyo sablay. Kung band videos lang I suggest na mag-DSLR ka nalang. For sports and action panalo sya. Which camera did CDR-King rebadge? Yung real SJ4000 or yung fake SJ4000? Curious as to what CDRKing actually got. I recently got the new CDR-King action camera model. Not the SJ4000 copy, there's this new stock that's inferior to the first one. (I'm smelling a bait and switch here because of the really good reviews of the first model ). Anyway, I say it is inferior because there are only two accessible buttons when inside the waterproof case (the rest of the controls are touch sensitive, what), and because of that you're stuck with the current mode you're in. So say if you're in video mode and you want to take photos or do playback, you have to take it out of the case. Another point against it is the lens: it has a 120 degree view compared to the 170 of others. Just imagine a camera that has the same field of view as your own eyes. I guess the only good thing about the new model is that it has better image stabilization. It's not as good as GoPro's but its much better than the absolutely nothing (plus really bad rolling shutter) of the previous model. Oh and the case fogs. Better buy anti-fog solutions from the watersports department.